The Horseware Corrib Hi-Vis Jacket is the perfect jacket for riding and dog walking in low light conditions. The Horseware Corrib Jacket is a highly popular unisex blouson that's fully waterproof and breathable with a micro fleece lining for warmth. 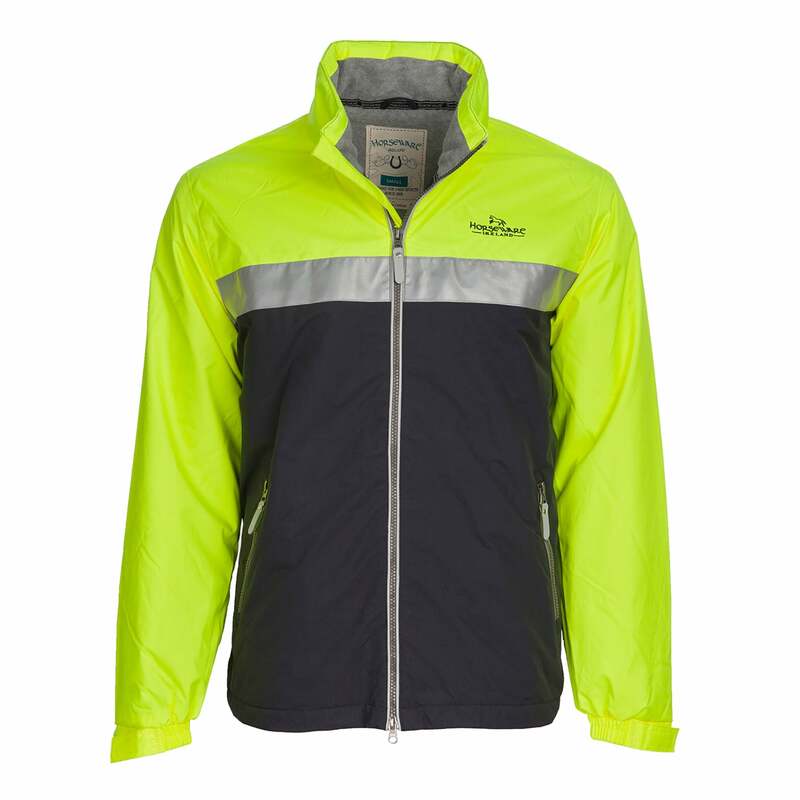 This hi-vis version has neon coloured shoulder panels with reflective piping to help make you more visible, and is therefore perfect for autumn and winter use.